Will Apple ask for future injunctions on most Samsung products if they win the case? The Apple vs. Samsung patent trial is well underway and it's not without its fair share of drama. Claims of iPhone envy, tampering with evidence and leaks to the media abound - and that was just in the first week. In what some are calling the trial of the century, Apple's seeking $2.5 billion (£1.59 billion) from Samsung for allegedly ripping off its iOS devices. For its part, the South Korean company aims to prove its innocence while winning its own countersuit for $421.8 million (£268.1 million). Here's the latest news from each day of the trial. It took just 21 hours for the jury to reach its decision that Samsung violated a number of Apple design and technology patents, awarding the later $1.05 billion in the process. Samsung's countersuit was rejected and the South Korean company walks away with nothing. Read more about the final verdict. 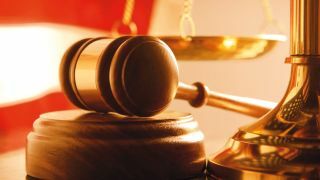 Linda Kennedy, a Detroit-based patent lawyer, talked with TechRadar about the nuances of the case, the challenges facing the jury and how the verdict could fall right down the middle. Read more of our interview with Linda Kennedy. Both sides argued at length for their cause as Apple set out to hammer a nail in Samsung's coffin with a document showing side-by-side comparisons of the iPhone and Galaxy S while a Samsung attorney made the case for fair competition. The jury begins deliberations next. Read more coverage from day 14. Looks like the decision will come to the nine-member jury, which is expected to be handed over the case August 22. They'll have to answer over 700 individual questions packed into a 22-page document to determine who walks away with millions - or billions - of dollars. Read more about the jury's task plus another case developing between Apple and Samsung. In an attempt to keep the decision, or at least a convoluted decision from falling into the jury's lap, U.S. District judge Lucy Koh persuaded both sides' CEOs to talk over the phone in an attempt to resolve the dispute out of court. Read more about their conversation. Powering through 14 witnesses with just over three total hours of trial time left, both sides ended testimony during day 12 of the in-court trial. Closing arguments are expected to begin early next week, if Apple and Samsung can whittle down what their jury instructions are. Read more coverage from day 12. Samsung set out to prove that it's actually owed money in lost royalties for patents Apple's alleged infringed upon while also making the case Apple's damage estimates are way off. Read more coverage from day 11. What would you think if a legal team submitted briefings for more than 20 rebuttal witnesses with under 6 and a half hours of court room time left? Read more coverage of judge Lucy Koh's remarks. All appeared lost for Samsung as Apple presented compelling evidence the company wanted to emulate its iOS devices. Now, Samsung is firing back, blasting into Apple's claims of originality with key testimony. Apple, naturally, isn't taking this assault sitting down. Read more coverage on Samsung's efforts to invalidate Apple. Central to Samsung's argument of innocence is that Apple's products weren't completely unique designs but were instead a product of the technological times. During the 10th day of testimony, Samsung "fact witnesses" said they were designing tablets before Cupertino ever did. Read more coverage from day 10. Lucy Koh, the U.S. District judge overseeing the trial, urged both sides' CEOs to talk an out-of-court settlement over the phone this weekend, claiming trouble could fall for both sides if the decision comes to a jury. Drama wasted no time coming into the court today as one of Samsung's scheduled witnesses was barred by Intel from testifying. Others took up the case, saying Samsung never copied Apple and was actually ripped off by the Cupertino company. Read more coverage from day nine. Apple rested its case while Samsung brought its first witnesses before the court as the trial's third week got underway. Based on the calculations of an accountant and Apple expert witness, a guilty Samsung would owe between $2.5 billion and $2.75 billion while both Samsung witnesses said prior art debunks Apple's argument its designs are wholly unique.